आज बरसो बाद दिल में प्यार फूटा है !! आज बरसो बाद दिल मे प्यार फूटा है !! Wah ji Wah , Bahut accha likha hai. Hamesha ki tarha is bar bhi aap ne Hirdai sparshi bhawo ko apni kavita main peeroya hai lagta hai mano kisi yugal ke bhawnao ki Tasvir main aap ki kalam se rang bhar dia ho.Aap ne jis parkar shabdo ka samawesh kia hai wo kabile tarif hai. Ranju ji,bahut hi achchha likha hai apne. Prem ewam uske junoon ka achchha warnan hai. thanks ranju si for such a lovely poem ..
though this kavita was concentrated on re-union of lovers but one can also link it with the re union of a disciple and god .. like finally one gets the answers of his prayers and chanting from god ..
तेरे छुने से एक गर्माहट हुई "
Hello Ranju Ji, Its your best line of your poetry collection, in which, was read by me to till date of your poems. Nice poetry. I hope , awake every body when reads these poems. Apne kaisa emotions ko chute hua likha hai. God bless u on yr writing arts. I aspect y r write in future very most nice songs/poems. "तेरे छुने से बरसो बाद मेरा मौन टूटा है"
"हिमनदी सी जमी हुई थी मैं"
"एक गर्माहट हुई सोई हुई तितलियों के पंख में"
"मस्त बयार का झरना फूटा है"
तेरे छुने से बरसो बाद मेरा मौन टूटा है एक पर्दा सा था तन मन पर मेरे तेरे छुने से वो भ्रम जाल टूटा हैआज बरसो बाद दिल में प्यार फूटा है !! बहुत सुंदर रचना है, बधाई. Shabd hi chuk gaye..mukhalwat kar di merey shabdon ne...k..kis tareh se apney gubaar likhuuuu..bahut khoob..bahut hi sundar..!! ab jafa keejiye ya wafa keejiy; akhri waqt hai bus dua keejiye. dil ko chu lene vale shbdo ko ukerane ke liye aap majnuvaad ki patra he . 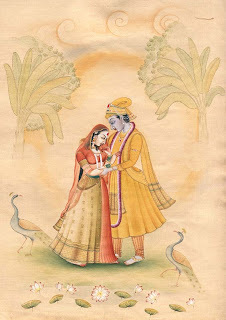 क्या कहा जाये मेरी आवृति में जो खिला वह बयान हो गया आपकी पंक्तियों को पढ़कर!!! बहुत प्‍यारी कविता। एक पर्दा सा था तन मन पर मेरे तेरे छुने से वो भ्रम जाल टूटा हैआज बरसो बाद दिल में प्यार फूटा है ! !